Cymbal graft double hammered 10'' splash brilliant medium.The Double Hammered Serie..
Cymbal graft double hammered 12" splash brilliant medium.The Double Hammered Seri..
Cymbal graft furia 12'' splash brilliant medium.The Furia Series, of GRAFT cym..
Cymbal graft myra 12" splash brilliant medium.The Myra Series, of GRAFT ..
Cymbal constantin classic 8" splash. Their hammered and lathed surfaces, warm sou..
Cymbal constantin diamond 8" splash.The DIAMOND Series, of Constantin cymbals is the brilli..
Cymbal constantin classic 10" splash. Their hammered and lathed surfaces, warm so..
Cymbal constantin diamond 10" splash. The DIAMOND Series, of Constantin cymbals is the..
Cymbal constantin classic 12" splash.Their hammered and lathed surfaces, warm sounds a..
Cymbal constantin diamond 10" splash.The DIAMOND Series, of Constantin cymbals is the brill..
Cymbal ufip class 10'' splash.Their hammered and lathed surfaces, warm sounds and s..
Cymbal meinl 8'' byzance dark splash.MEINL Byzance cymbals are completely hand hammered ..
Cymbal meinl 8'' byzance traditional splash.A nice spread with great attack. 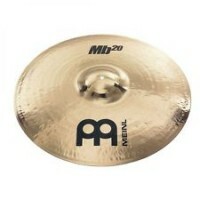 Punchy and ..
Cymbal meinl 8'' byzance brilliant splash.Highly polished finish, brilliant and bright s..
Cymbal meinl 10'' mb20 rock splash.The MEINL MB20-Series is a combination of premium B20..
Cymbal meinl 10'' byzance traditional splash.A nice spread with great attack. Punchy and..
Cymbal meinl 10'' byzance brilliant splash.Highly polished finish, brilliant and bright ..
Cymbal ufip class 12'' splash.Their hammered and lathed surfaces, warm sounds and s..